One of the most famous branches in Swiss cuisine is the amazingly delicious doughy products. The cozy atmosphere of the Alpine country houses just won’t be the same without the aromatic bread with irresistible crust and its other doughy “relatives”. The mastery of the preparation of doughy products has been perfected over the centuries and nowadays it is really brought to perfection. The variety of doughy products coming out of the Swiss bakeries is really amazing – nowadays there are more than 350 different types, both national and local. The regional types are the pride of the area, and to a great extent they determine the identitiy of each canton. The Swiss bread it as a sacred product. Legends, poems and proverbs are dedicated to this product. The Swiss bread assortment includes countless variations. 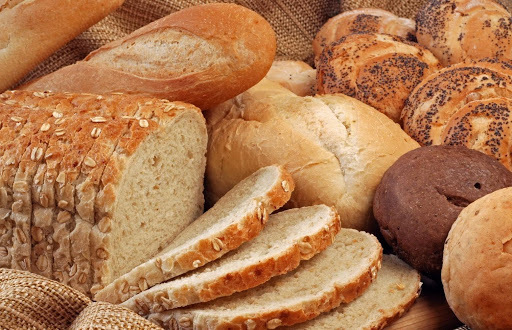 The most popular among them is the braid Zopf, the oval Brot Zürcher, Basler brot, the rye Walliser and many others. The characteristic bread of the different cantons distinguishes by a unique recipe and taste, but there is one common feature and it is its crust – thick or thin, smooth or striated, but in any case crunchy. This is one of the most popular breads in Switzerland. It is believed to originate from the canton of Bern. It was mentioned for the first time around 1430. The most specific feature of Zopf is that it looks like a wheat class, and in German its name means braid. This type of bread is considered to be festive and ritual. 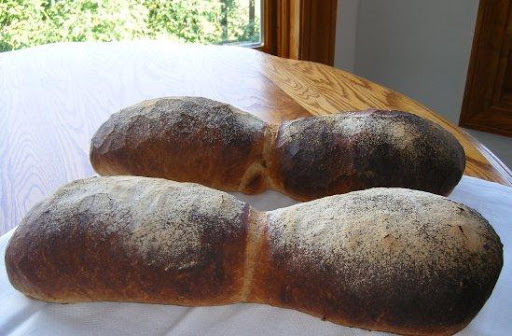 To prepare this unique Swiss bread, you will need high quality flour, honey or sugar, warm milk and cow butter (if possible from a Swiss cow), eggs, salt and dry yeast. 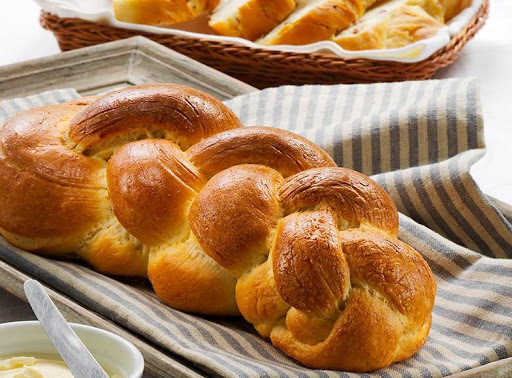 In order to make the specific „braid”, after preparing the dough, you should divide it into 3 or 4 parts. From each part you can make a thin „sausage” that you can use to make the braid. Leave the doughy „hair” for 2 hours in order to become spongy. Smear the bread with yolk and put it in the hot furnace. In about half an hour the ruddy Swiss braid is ready. Although its „native” place is Basel, this bread has gained national popularity a long time ago. It is produced and loved throughout Switzerland. The age of the recipe is not clear, but it is known that it was first described in a magazine in 1944. Its specific shape, consisting of two parts, symbolizes the two cantons of Basel-Stadt and Basel-Landschaft. Characteristic of Basler Brot are its porous inside part and the crispy crust. Bake it at high temperature, and for the dough you can use both wheat and rye flour. If you decide to prepare Basler Brot, the most important thing is not to forget to form two round breads, which should be placed close to each other so they can stick together in the process of baking. Speaking of Swiss doughy products, we cannot miss the classical Bretzel of Zurich. It is a favorite food of people of all ages. Its variations are many – with or without filling, covered with seeds or simply with salt. So… Take the flour, add some sugar, salt and yeast. Mix well the ingredients and add butter. Prepare the dough. Then make a “sausage” of it and cut it into 6 pieces of about 40 centimeters. And now comes the difficult part – to shape them in the specific form. Leave it for 10 minutes under a cloth. Then warm water in a saucepan. Add some baking soda. Once the water starts boiling, cook each pretzel for 30 seconds and then place it on a baking paper. Decorate the product with seeds, salt, cheese, poppy seeds, etc. Then place the pretzels in the furnace and bake for 20 minutes at a temperature of 200 degrees. 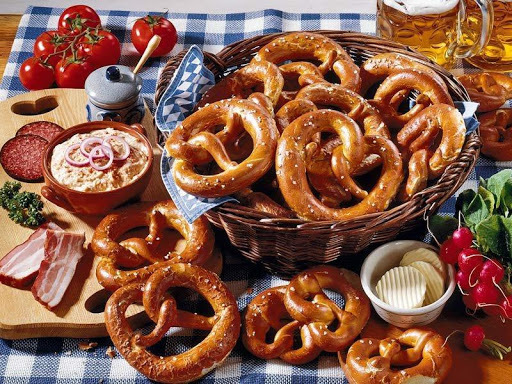 The Swiss pretzels are very good fit for beer. If you cut them in half, you can prepare sandwiches for the children, just smear them with butter and add some cheese or ham, then cover them with their other half. Although this dish has a terrifying name, Cholera is a completely harmless pie with apples, potatoes and leeks. This original combination of products was invented by the residents of the canton of Valais in Switzerland. The local legend tells that this has happened in 1836. Then there was a cholera epidemic on these lands. The survivors did not dare to leave their homes, they shut the doors, but the amount of products was limited and they had to eat something. So they invented the incredible culinary masterpiece in which they simply put what they had at home. 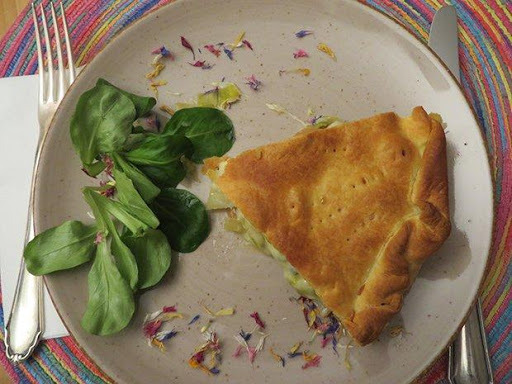 If you decide to prepare the Swiss Cholera, you have to buy apples, although the pears are also a good choice, puff pastry, butter, egg, cream, potatoes, leek is a must, onion, salt, cheese (if possible the Gruyere cheese). Cut the onion finely and stew it in a hot oil saucepan. Then add the apple pieces, pears and leeks and fry for a while. Season with black pepper and salt. Place a little more than half of the puff pastry on the bottom of the baking tin and on its edge. Then place the potato slices, the leeks, the mixture of apples and pears, and the cheese on top. Finally, stir the cream with the egg and pour the mixture on the products, then cover with the second half of the dough on top as a lid. The remaining dough of the edges can be used for decoration. Bake for about half an hour. The finished pie is cut into triangles with sharp edges to the center. Serve the Cholera warm and you can garnish it with some vegetables. We haven’t exhausted the extensive topic of Swiss doughy foods with these few attractive suggestions. In fact, we are just starting it. We have to add the traditional onion pie with bacon Zwiebelkuchen to the culinary palette of delicious doughy baked dishes, as well as its delicious „cousin” Käsewähe, which is prepared with cheese and is definitely a star of the traditional Basel carnival. The list of doughy temptations continues with the Swiss macaroni with cheese, potatoes, cream and apple puree Älplermagronen that are considere to be the favorite food of Alpine farmers and shepherds. We cannot miss to mention the irresistible dumplings with various fillings. Apparently today we cannot finish this topic, and probably we are all very hungry after this “feast” of delicious recipes. So….let’s go to the feeding tables with alpine appetite. Previous Post: Is Swiss food healthy?